When will be Conviction: Murder at the Station next episode air date? Is Conviction: Murder at the Station renewed or cancelled? Where to countdown Conviction: Murder at the Station air dates? Is Conviction: Murder at the Station worth watching? Documentary following a team of experts as they investigate whether evidence exists that could challenge the conviction of a man in prison for a murder he denies. Every year, over 500 people in the UK are convicted of murder. A guilty verdict can only be challenged if new evidence comes to light - and less than 1% of cases are ever overturned. Inside Justice is a specialist charity led by Louise Shorter, supported by a panel of criminal lawyers, ex-police officers and forensics experts who offer assistance to prisoners who are protesting their innocence. In this series, we meet Louise as she investigates a case, looking for evidence that could present grounds to bring an appeal - and ultimately overturn the conviction of a Southampton man in prison for the murder of his secret lover. On 17 October 2008, Paula Poolton went missing - her body was found 11 days later in the boot of her car, parked outside the local railway station. During police enquiries, it was revealed that Paula and a man named Roger Kearney had been having an affair. On the night in question, Kearney says he ate dinner at home and watched television with his partner before driving to his night shift at the post office. Although no forensic evidence was found linking Kearney to the car, he was convicted of the murder. Across the two episodes, cameras follow as Louise works diligently to explore every avenue of the case. The film reveals what is really involved in the process of presenting a claim to the Criminal Cases Review Commission in the hope of getting a rare referral to the Court of Appeal. Two-part series from James Newton, director of Bafta nominated The Detectives. 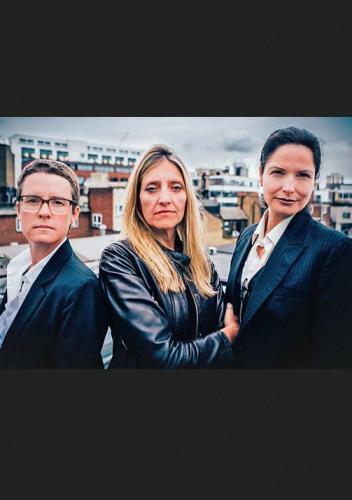 Conviction: Murder at the Station follows a team of experts as they investigate whether evidence exists that could challenge the conviction of a man in prison for a murder he denies. Every year, over 500 people in the UK are convicted of murder. A guilty verdict can only be challenged if new evidence comes to light - and less than 1% of cases are ever overturned. Inside Justice is a specialist charity led by Louise Shorter, supported by a panel of criminal lawyers, ex-police officers and forensics experts who offer assistance to prisoners who are protesting their innocence. Conviction: Murder at the Station is a two-part series from James Newton, director of Bafta-nominated The Detectives. It is a compelling look into real life crime, through the eyes of a charity that investigates alleged miscarriages of justice. Conviction: Murder at the Station next episode air date provides TVMaze for you. EpisoDate.com is your TV show guide to Countdown Conviction: Murder at the Station Episode Air Dates and to stay in touch with Conviction: Murder at the Station next episode Air Date and your others favorite TV Shows. Add the shows you like to a "Watchlist" and let the site take it from there.